Back in 2000, when the job market was low, I was compelled to start looking for electrical work on my own. Within a short span of time, I was working seven days a week. At that point, I decided to go into business for myself. I started doing electrical work in 1977, and it was easy because my father was an electrician. I started this company in 2003 although I have been in this field for forty-one years. Our business has been growing continuously and steadily from 2003. I believe that our fair business practices and competitive prices are a key factor in this growth. I find that completing a job and having happy customers to be the most rewarding and enjoyable part of what I do. The flexibility of work timings is another factor that keeps me happy and positive in this field. I strive to provide quality electrical and customer service and keep the customer happy, by working with honesty and fair pricing. The success of my business has to be attributed to the blessings I’ve received, excellent customer service and ensuring we deliver everything we promise. Having happy customers at the end of all our jobs is what I find most satisfying. When I am not working, I love being with my family and spending time in the mountains. I strive to live a life that will set a good example for my children and grandchildren. I have enjoyed sharing my story with you about the things that matter to me. If you or someone you know can benefit from our expertise in electricals in Denver, CO, I invite you to get in touch. 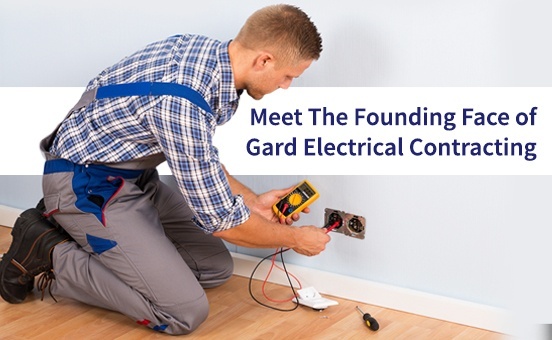 Please visit our website at www.gardelectricalcontracting.com.